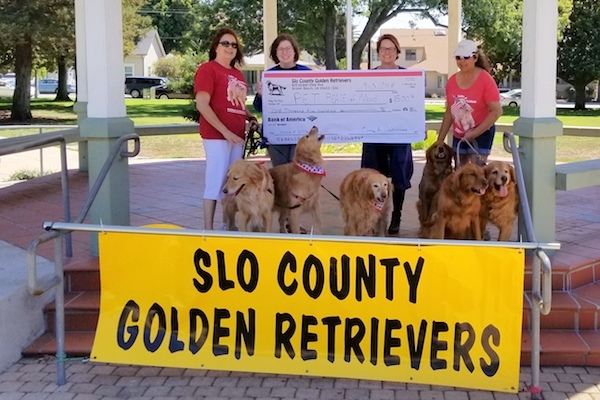 Each year the SLO County Golden Retrievers Club hosts their largest fundraiser, Goldens in the Park at Laguna Lake Park in San Luis Obispo. The event brings together hundreds of Golden Retriever owners and is open to all dogs, any breed, large and small, purebred, mixed and mutts. The event includes games, contests, and even a dog parade all in the name of fun and to raise funds for the benefit of their nonprofit and also share the money raised with another like-minded nonprofit. The next Goldens in the Park event will be held in July of 2019.